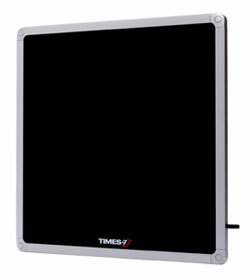 The SlimLine A6034S is an ultra-low profile circularly polarized flat panel high gain antenna. Its total thickness is just 12 mm (0.5 inch). With an even and narrow (50 degrees in both planes) beam, the A6034S provides for a highly accurate read zone.